After completing his annual off-season road trip, Kazoo has decided that it's time to downgrade to a slightly smaller vehicle for the 2019 season. His trusty bus has been used to take Wahoos players and staff to community events throughout Pensacola for the past eight seasons, and he wants it to remain in the community by giving it to a deserving local non-profit! Local non-profits interested in entering their organization as a candidate to receive the bus should record a 30-second video explaining how they would use the bus and upload it to Facebook with the Blue Wahoos tagged (@bluewahoosbaseball). Organizations without video capabilities can submit a written letter explaining why they should be selected by email to communityrelations@bluewahoos.com. Kazoo will begin reviewing submissions on March 1st. 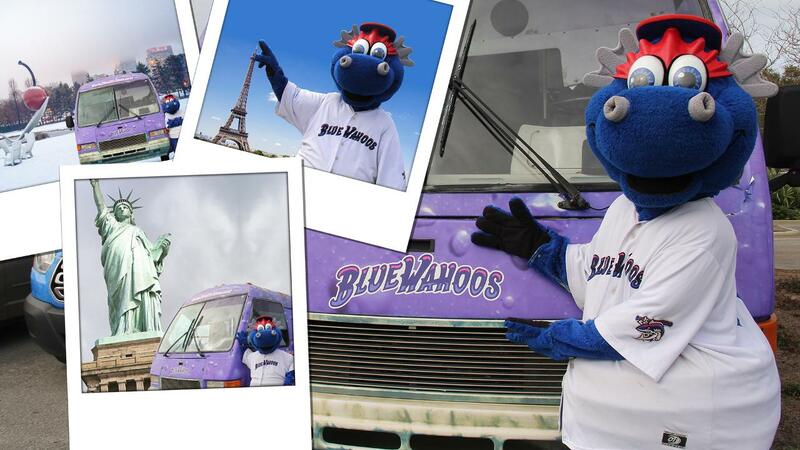 The Blue Wahoos bus is a 1999 Champion Freightliner that was used both by the Blue Wahoos and their predecessor, the Pensacola Pelicans. Due to its age, some repairs are necessary. The Pensacola Blue Wahoos are the Double-A affiliate of the Minnesota Twins. A member of the Southern League since 2012, the team has been selected as the Organization of the Year three times and the league's Community Service Award winner four times, receiving the honor the past three seasons in a row. The Blue Wahoos contributed over $615,000 to local charities during the 2018 season.